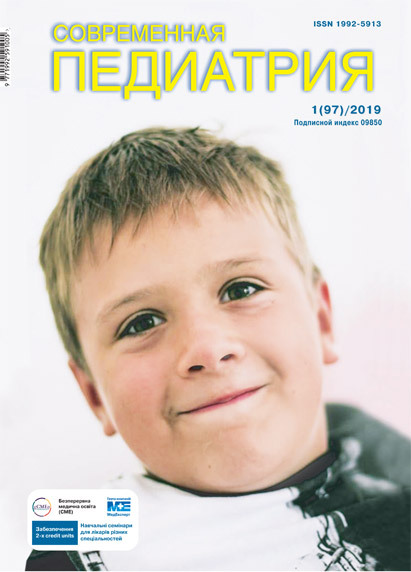 Marushko Y. V., Moskovenko E. D.
The aim of this work is to summarize the literature data and personal observations concerning the peculiarities and dagnostika syndrome of intolerance to histamine( HIT) in children. We examined 28 children with clinical proyavlenie HIT aged between 3 to 12 years. The average age amounted to 5 years and 9 months. The diagnosis of HIT in these patients was confirmed to provedennom skin prick test with 1% histamine. For children with the HIT to symptomatic treatment added the individually developed dietary recommendations with the exception of products, rich on histamine. Use in complex treatment of children with symptoms of HIT elimination diet showed a decrease of clinical manifestations of HIT at different stages of treatment. Key words: syndrome of intolerance to histamine, children, diagnostics, diet therapy. 1. Naumova OA. 2014. Diagnosticheskoe znachenie opredeleniya urovnya diaminoksidazyi u patsientov s sezonnyim allergicheskim rinitom i perekpestnoy pischevoy allergiey. RinologIya. 3: 57—66. 2. Makarova SG, Borovik TE, Guseva IM, Yatsyik GV. 2006. Profilaktika pischevoy allergii v rannem detskom vozdaste. Voprosyi sovr pediatrii. 4: 69—74. 3. Puhlik BM. 2011. 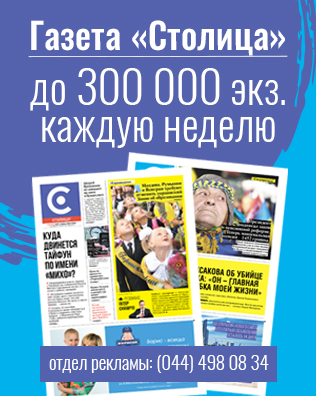 Allergiya — problema ne tolko allergologov. Zaporozhskiy med zhurn. 13; 2: 108—110. 4. Rukovodstvo po immunofarmakologii. 1998. Pod red MM Deyla, DzhK Formena. Moskva, Meditsina: 332. 5. Antonio Rosell Camps Aspectos clinicos Y Nutricionales De La Intolerancia A La Histamina En Pacientes Pediatricos con Sintomatologia Digestiva Cronica. 2015. Programa de doctorado de Ciencias Medicas Basicas: 131. 9. Shahsadi N, Rani Z, Asad F, Hussain I. 2015. Chronic urticaria: An approach towards etiology and diagnosis. Part 1. Journal of Pakistan Association of Dermatologists. 25(4): 303—313. 12. Colome Rivero G, Tormo Carnicer R, Rosell Camps A et al. 2014. Diaminooxidase low levels and paediatric gastrointestinal pathology. 47 th Annual Meeting of the European Society for Paediatric Gastroenterology, Hepatology and Nutrition. 9—12 June 2014, Jerusalem, Israel. 13. Sattler, Hafner D, Klotter HJ et al. 1988. Food-induced histaminosis as an epidemiological problem: plasma histamine elevation and haemodynamic alterations after oral histamine administration and blockade of diamine oxidase (DO). Agents and Actions. 23; 3—4: 361—365. 15. Jarisch R, Gоtz M, Hemmer W et al. 2004. Histamin-Intoleranz. Histamin und Seekrankheit. 2 ed. Stuttgart, NewYork, Georg Thieme Verlag. 17. Laura Maintz, Thomas Bieber, Natalija Novak. Histamine Intolerance in Clinical Practice. 20. Maintz L, Bieber T, Novak N. 2006. Histamine intolerance in clinical practice. Dtsch Arttebl. 103(51—52): 3477—83. 21. Rueff F, Przybilla B. 2004. Hauttests zur Diagnose von Soforttyp-Allergien. Erschienen. Manuale allergologicum. G Schultz-Werninghaus, Th Fuchs, C Bachert, U Wahn, Eds. Dustri, Munchen, Germany: 491—511. 25. Izquierdo J, Mon D, Lorente M, Soler Singla L. 2013. Un estudio randomizado doble ciego para el tratamiento con Diaminooxidasa (DAO) en pacientes con migrana y deficit de actividad DAO. XXI World Congress of neurology. Viena, Austria.